The Meghan Markle effect is still in full swing. And in just five easy steps, you can have a hairstyle fit for a (soon-to-be) princess. There are many reasons we want to be Meghan Markle. Shes beautiful, talented and has great taste in clothes, to name a few. Oh, and shes about to marry Prince Harry. But on top of all this, she has impeccable style – especially when it comes to her hair. We are so in awe of her hair, in fact, that many of us apparently take a photo of Meghan Markle to the hairdressers. 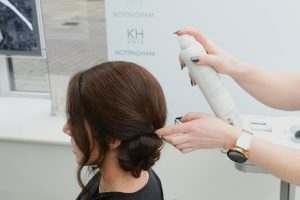 Leading hair chain, The KH Hair Group, has received many of these requests from customers. And one look is in particularly high demand: the messy bun. But you dont need to go to the hairdressers to get this look. Mary shares the five easy steps for recreating Meghan Markles messy bun at home. Apply a thermal protection spray to your hair, then smooth and add a few curls with straightners like GHD Gold. Add shine with a product like Wella System Professional Soft Touch Cream. 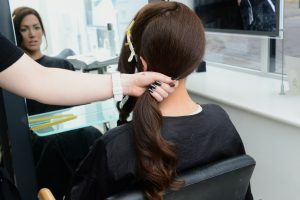 Take a diagonal section of hair from the crown of the head to the front of the ear, which you will be wearing in the bun, and clip this front section out of the way for the time being. Put the rest of the hair in a low side ponytail. 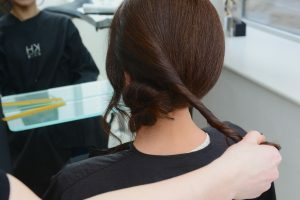 Twist the ponytail and loop in a circular motion up around the bobble. Use a few grips to secure underneath. Take the clip out from the front section of the hair that was clipped to the side, but first pull out any bits you want to leave around your face. Then twist the hair away from your face and towards the ponytail and continue the circular motion around the bun. Grip to secure. 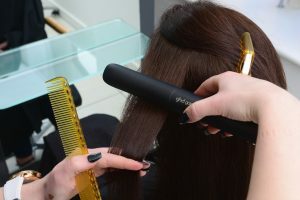 Use your fingers and a tail comb to pinch and tease the bun until youve reached a softness youre happy with, then spray the do to lock it in place. We can see why its so popular. 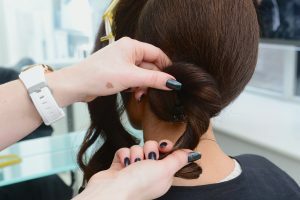 The post How to get Meghan Markles messy bun hairstyle in 5 easy steps appeared first on Woman Magazine.